California girl Ashe doesn’t need to cry wolf. The magnetic musician draws attention all on her own, with an intricate sound that blends jazz with electronic pop and rock. 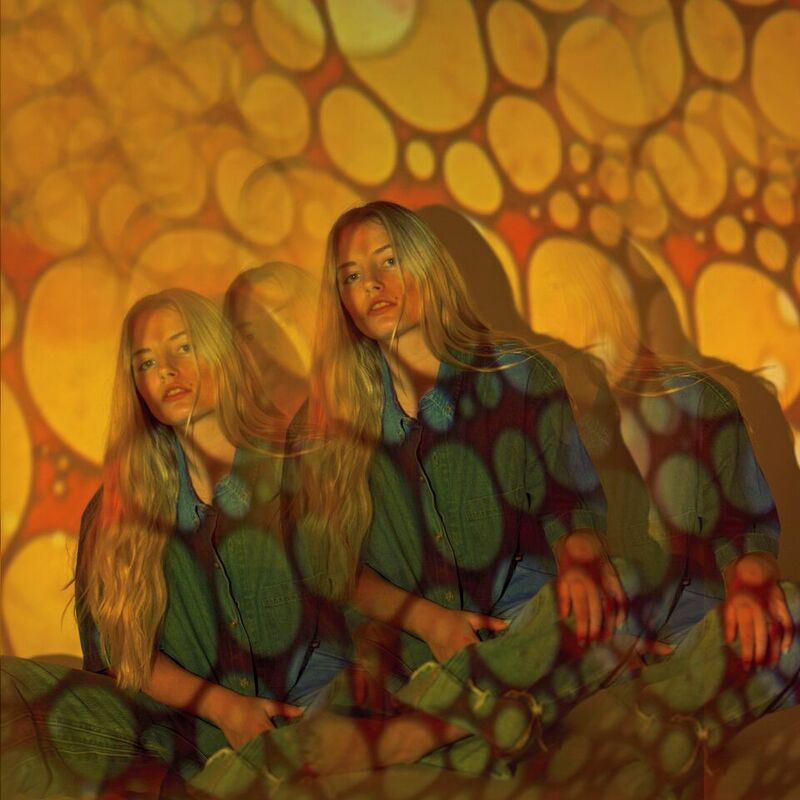 The singer’s latest offering, “Girl Who Cried Wolf” embraces beachy West Coast vibes with a bombastic hook, and Ashe’s breathy yet edgy vocals. Ashe studied jazz, composition, and production at Berklee College of Music, the influences of which can be heard on 2017 single “World on Fire” featuring Louis the Child. After releasing a string of singles last year, Ashe is now preparing to release her debut EP. Listeners can expect a heartfelt record that Ashe says captures who she is as an artist in this moment. Since October 2017 Ashe has been on the road with Whethan, Louis the Child and Lauv on a North American tour. The singer plays two sold out shows at the Troubadour supporting Lauv this Thursday, January 26th and Friday, January 27th. Culture Collide chatted with Ashe in between gigs about the tour, her music and being 100% your authentic self. Culture Collide: When you were studying jazz at Berkelee College of Music did you see yourself moving into the electro/pop rock realm? Ashe: I didn’t foresee anything when I was at Berklee. I didn’t know what the hell I wanted or what I wanted to be. It was just like, I’m going to do stuff that interests me that I hopefully can graduate and do something with. So I totally did not know I’d be doing this now, but interestingly enough, the jazz really helps influence the rock, pop and all that. How did you land on the sound for your new music, including “Girl Who Cried Wolf”? Ashe: I don’t know if I’ve landed yet. It’s been a discovery of sound and playing with different producers and creators. You go with your gut in session and see where leads you. So far its led me into this pop/electronic/rock space. You’re nearing the end of your tour, what have been some highlights? Ashe: Highlights are getting to connect with real human beings. When you’re locked up in a studio day-after-day, you forget who you’re really connecting with, so definitely getting to meet fans and hang out after the show. There’s this part in the set where I have everybody do a middle-finger salute, and it’s this big moment where we’re altogether and it’s a really beautiful thing. So far all my tours have been with friends so thats a massive highlight. It’s kind of like touring with family. What have you learned from touring alongside Whether, Louis the Child and Lauv on this tour? I’ve also learned that my body is a hot mess that I get sick really easily on tour, so I have to be so much more regiment about taking care of myself on tour. As a VEVO “artist to watch” what’s your biggest goal for 2018? Ashe: I’m working on my EP right now and we’re getting ready to launch it so that’s what I’m most excited about, releasing a bunch of new music. Music that I can 100% back. This EP is 110% me inside and out, and I just feel like it’s so much more genuine and authentic and I’m really proud of it. I’m excited for people to hear it, and get to know me for who I am on a more intimate level. You recorded “World On Fire” with Louis The Child. When the world is on fire, what are some ways to see the fire and then put it out? Ashe: I love that question. There’s multiple ways. On a daily basis, I think just trying to remain very present in life. I think it’s very easy to be consumed by social media, consumed by the news, and consumed by trivial things that don’t really matter. I’m totally susceptible to it. How many mornings do you wake up and not think about yourself first thing? Just trying to stay present on an individual level, but also knowing that your vote counts, and putting the right people into power who are climate change advocates, and who back environmentally friendly companies, and eliminating your daily waste. I was so disappointed on tour with how much waste there is just as a musician. Like bottled water – there’s all this plastic waste from bottled water. I think on a musician level, it’s important to be aware of what’s going on, and on an every day normal level. Implementing small changes like bringing a reusable water bottle, all that stuff matters. Ashe: I just want to make music I’m proud of. I think we live and die by our own sword so I’m going to 100% back the music that’s coming out and try and be as authentically myself on every level. I think there’s a whole lot of pressure from the world on everybody to change and become what society or the world wants you to become, and discourages individuality. And individuality is a really cool, beautiful thing, so I’m going to try and embrace that even more in 2018. One of my favorite actresses is Diane Keaton. She has this playful, super cool style and she’s gotten all the hate for it and I’m like “yeah girl, you go! Just never change.” I love that, and I totally love Diane Keaton and I wear Diane Keaton inspired outfits. Yeah just standing out, being your own individual and being behind it 100%.